Despite concerns over stagnating or even declining sales, the fatty acids remain a star player in the nutritional ingredients segment. The science continues to grow almost exponentially with omega-3s being linked to an ever-increasing number of health conditions. In this editorial webinar, NutraIngredients-USA dives deep into the omega-3 waters to explore the supply chain, quality standards, innovative new forms and products, the state of the science, and how the industry feels moving forward. Ellen Schutt was recently named Executive Director of GOED, the Global Organization for EPA and DHA Omega-3s. Ellen has been with the company for almost seven years, and now oversees all aspects of the organization’s mission to increase consumption of EPA and DHA omega-3s as well as to protect the category by ensuring GOED members are manufacturing quality products that consumers can trust. 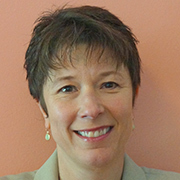 Ellen previously directed GOED’s communications strategy for industry and consumers and was instrumental in organizing a successful consumer education campaign in 2015. She continues to work on high level initiatives such as building a healthcare professional education program and coordinating the efforts of GOED’s Executive Council on Education and Outreach, which funds many of GOED’s strategic initiatives. With 20 years of experience in the natural products industry, Ellen is the former editor of Nutraceuticals World magazine, an industry trade publication, and owner of Schutt Solutions, a consulting business focused on supporting growth in the dietary supplement industry. 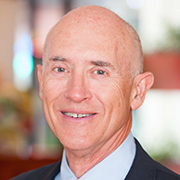 Dr. William Harris holds a PhD in Nutritional Biochemistry from the University of Minnesota. Since 1980, his research has focused on omega-3 fatty acids and human lipid metabolism, platelet function, cardiovascular and neurocognitive disease. He has been the principal investigator on 5 omega-3 related NIH grants and has published over 200 papers on omega-3. In 2004 he and his colleague Dr. Clemens von Schacky proposed that the “Omega-3 Index” (RBC EPA+DHA) be considered as a new risk factor, for not only cardiovascular but also neurocognitive diseases. In 2009, he founded OmegaQuant, LLC to offer the test to researchers, healthcare providers and consumers. Dr. Harris has been on the medical faculties of Kansas University, the University of Missouri-Kansas City, and is currently at the University of South Dakota. He is also the President of OmegaQuant. Johnathan obtained his BSc (hons) in Agricultural Sciences from the University of Nottingham, followed by a PhD in plant biochemistry from King’s College, London. 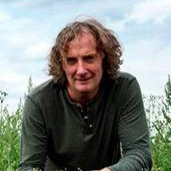 He carried out post-doctoral research in the Department of Plant Sciences, University of Cambridge, then taking up a position at Long Ashton Research Station in Bristol. His research group relocated to Rothamsted Research in 2003 where he is currently Flagship Leader of the Camelina omega-3 project. Johnathan is also an Affiliated Lecturer at the University of Cambridge and Visiting Professor at the University of Nottingham, who also awarded him a DSc in 2006. He has published over 150 peer-reviewed papers, and is the inventor on multiple patents relating to the biotechnology of lipid metabolism. Hank Schultz is the Senior Correspondent for NutraIngredients-USA and FoodNavigator-USA. He has experience in the dietary supplements and food business and also in the daily newspaper industry, where he was an editor with the Rocky Mountain News in Denver, Colorado.